You are currently browsing the tag archive for the ‘Jamie Lee curtis’ tag. experts tell me that gray is the new black this fall. from eye makeup to nail polish to pants, gray is the color to wear if you’re anyone who’s anyone. but I know it sounds bleak. my first thought pictured Eeyore under a storm cloud sighing “why bother?” but you should bother. gray is a modern alternative to black in many forms. gray dresses accentuate your figure and hide unwanted bumps (add a pop of color like purple or bright red with a cardigan or cute pin). gray eyeshadow is a sweet way to make a smoky eye without fear of looking like Rocky Racoon’s demented cousin (pair with pale pink lips and you’ve nailed the trend). gray nail polish lightens up your look without signaling for a goth following (try OPI Stars In My Eyes). and letting your gray hair out (think: all natural highlights) is all the rage. 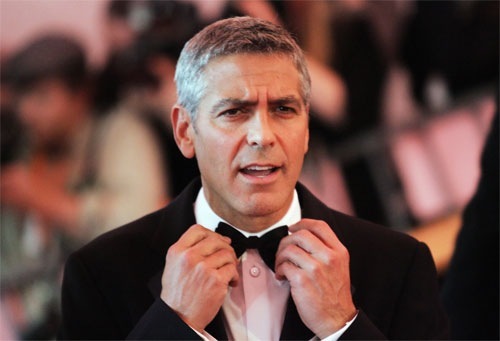 just ask Meryl Streep, Helen Mirren, Jamie Lee Curtis, Dame Judi Dench, and even some of the guys – Brad Pitt, Mickey Rourke and my well-known all-time favorite, George Clooney. embrace the gray, ladies and gents. rain or shine.